Nissan essentially pioneered the electric vehicle segment in North America when it introduced the Nissan Leaf back in 2011. A few weeks ago, Nissan unveiled the next-generation Leaf which is set to go on sale in early 2018 at a starting price of $35,998. 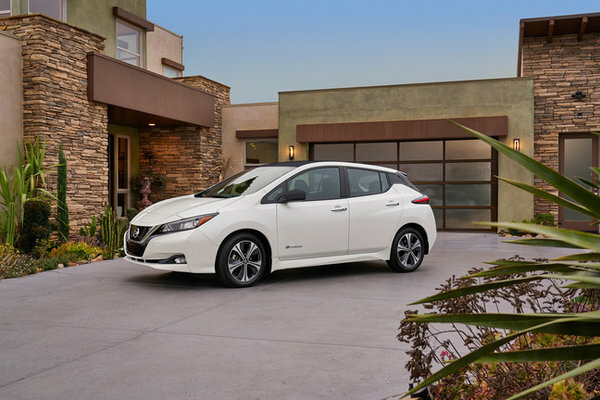 The 2018 Nissan Leaf features a wide range of new technologies, but the most important improvement comes in the form of the new 40 kWh battery that powers the Leaf’s electric engine. Thanks to its upgraded capacity, this new battery will offer Leaf owners 241 kilometers of range, an vast improvement over the 170 or so kilometers the previous Leaf could offer. Owners will be able to charge their Leaf using either a 120 volt or a 240 volt charger. There will also be a wide range of driver assistance features offered on the Leaf thanks to the inclusion of Nissan’s ProPilot system which uses a series of radars, cameras and sonars to scan the road ahead. 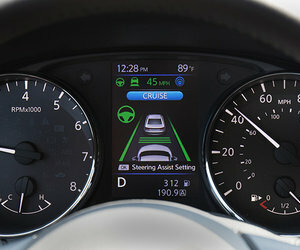 In doing so, these systems can keep the Leaf in its lane autonomously, and even brake for the driver if another driver or obstacle is detected ahead. The 2018 Nissan Leaf also features the all-new e-Pedal system which allows the driver to control the Leaf’s acceleration and braking using only the right pedal. When you lift your foot off the gas, the car will slow down as if you were using the brakes. To learn more about the 2018 Nissan Leaf, contact us today at Stadium Nissan!